Over the past few days I have written technical articles on several different bird species of the Ecuadorian rainforest. Rather than repeat this information I would prefer to provide some of my own observations on this avifauna and furnish links back to the original articles for further study. One of my favorite birds is the Tawny Antpitta. It is neither the most colorful bird nor the most obvious but it has a certain personality that makes it unique within its habitat. 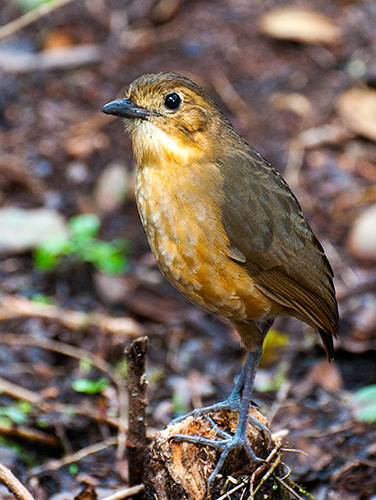 The Antpitta family of birds is generally very timid, hiding amongst the dense undergrowth and grasses. But the Tawny Antpitta defies this caricature and can easily be seen along roadsides and at the forest edges. At Yanacocha they have set up a feeding area where the birds can be called in to feast upon fresh worms dug up by the rangers. This little fellow enters proudly to scarf up the juicy morsels, almost oblivious to the fascinated observers. He will approach within a couple of meters showing little concern for the human interlopers. There is a certain pride and courage that is displayed while he perches on nearby branches and peruses his domain. I have yet to encounter a bird that exhibits this kind of personality. Although I have seen the Tawny Antpitta many times I will never grow tired of watching him in his natural habitat. 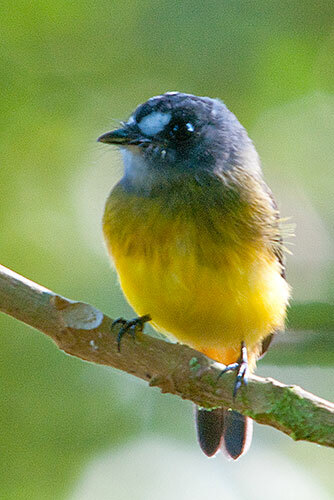 The Ornate Flycatcher is a cute little bird of the tropical rainforest. It is quite common around Mindo and can be found on both slopes of the Andes. It is captivating to watch them sitting on branches around the Milpe Bird Sanctuary, sallying quickly into the air to capture small insects and then returning to the branch from where they originated. They are a very colorful bird within the Tyrant Flycatcher family and are easily recognizable due to the large preocular spot that can be seen from a considerable distance. Furnariids or Ovenbirds are an extremely daunting family of birds. 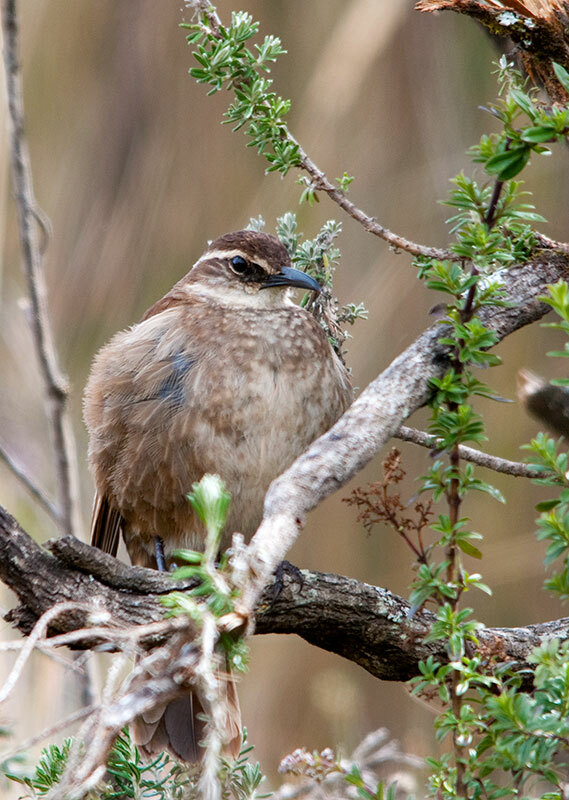 There are over seventy-five species, not counting Woodcreepers, and can be found throughout Ecuador at all elevations. There similarities in habitats, habits and coloring make it difficult to identify the individual species, even after extended periods of observation. They are a very obscure creature, tree huggers you might say, staying close to the trunks and branches as they seek out insects and other prey. There color allows them to blend in well with their surroundings and their constant movement makes it difficult to see that pattern or peculiar difference that aids in identification. When encountering a Furnariid in the field you have to take good notes to ensure that you have guessed correctly. I tend to take as many photos of them as possible so that I can make sure of my decision on the species. I hope this information will help on your next visit to the neotropics. Happy bird hunting.